Upsampling CD/SACD Player with built-in dCS Ring DAC and 2 digital inputs. 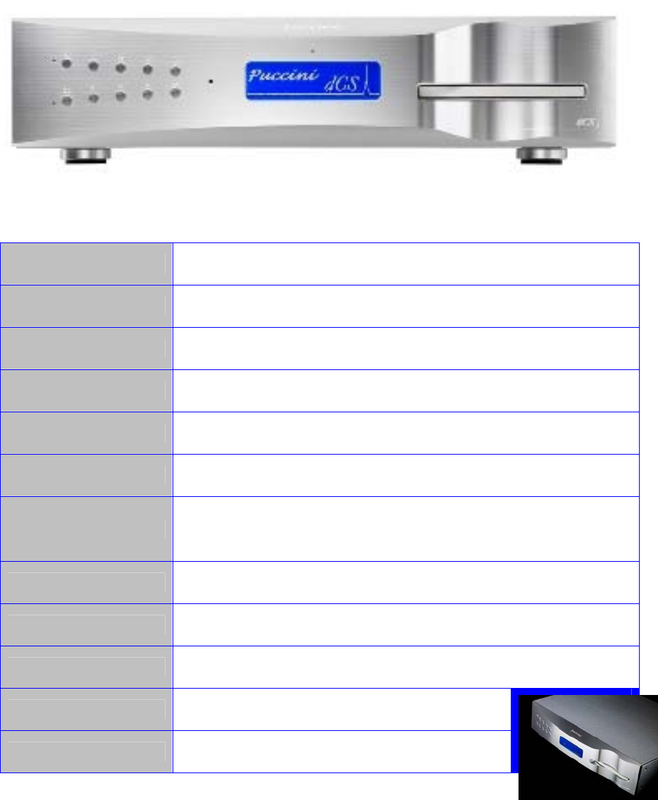 Designed to drive a power amplifier directly. 96kS/s and process up to 24 bits, not upsampled. input sample rate when a digital input is in use. 1x BNC output generates 44.1kHz when playing discs. 460 x 420 x 113mm (18.0” x 16.5” x 4.4”).